September is a time when many nursing students embark on their new career. Do you remember your first day in nurse training? 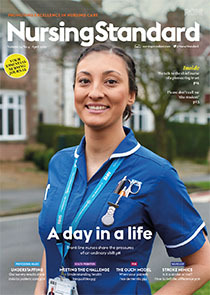 The past four months – my ‘induction’ period at Nursing Standard – have been a turbulent time. Not for me personally, but for health and social care in general. New year, new you, so the saying goes. With all the problems at the RCN last year, it’s good to see two new faces at the helm in 2019.